There’s something else that gets my heart racing other than Mr M. I’ve been skipping or rope jumping as it’s more commonly known as. Contrary to popular belief, rope jumping is not just for professional boxers and children in the playground. It’s a high-intensity cardio workout that also blasts calories. The last time I was an active gym member was in the mid 90’s. I also enjoyed taking a couple of dance classes but with various work commitments I couldn’t keep up. I’ve taken up this form of exercise because I don’t have time to go to a gym and feel I need to do some form of cardio other than chasing the Jay bird around the house and running up and down the steep stairs which is a semi workout in itself. 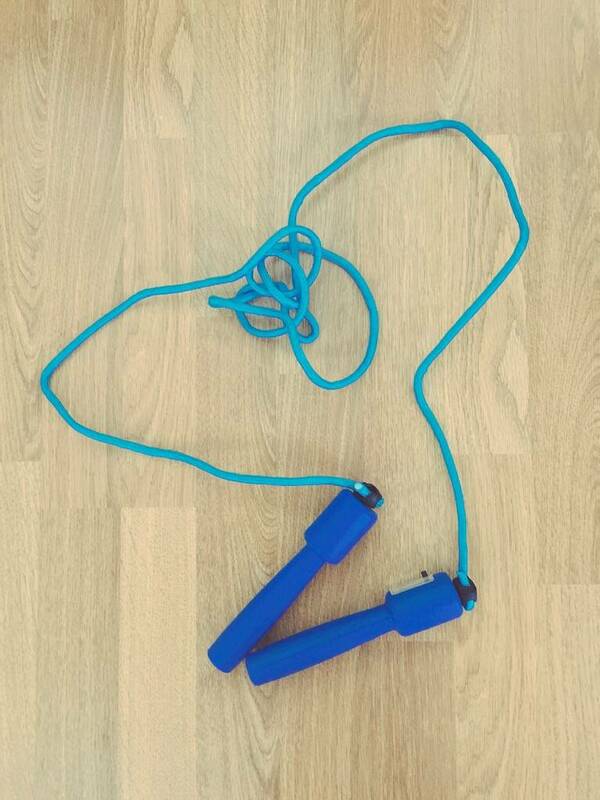 The reason I like skipping (well sort of like it) is that the skipping rope is a powerful workout tool. It builds cardio fitness, balance, agility and bone strength. It’s also one of the best go-anywhere fitness accessories. 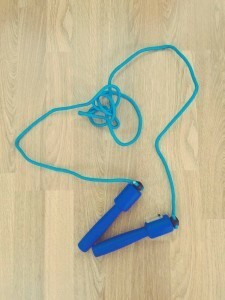 I have been following “All Hail Fitness Expert” Anna Renderer’s Jump Rope Workout and trust me you’ll feel you’ve worked out just watching this video! it’s insanely intense and I really don’t know how Anna manages to speak throughout I was rendered speechless half way in and one word of advice if you are a tad top heavy wear a decent sports bra! 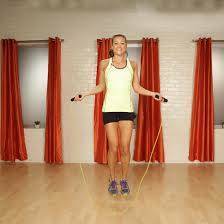 If you really don’t fancy using a jump rope you can still do this workout by mimicking the jump rope movement with your hands. I have tried it without the rope but I felt a bit of a lemon if I’m honest. 1. Keep your elbows close to your ribs. 2. Allow your ankles, knees, and hips to flex when you land. 3. Keep your jumps low. 4. Hold your hands waist-high in a 10 and 2 o’ clock position. 5. Turn the rope mainly by rotating your wrist. 6. Jump 1 to 2 inches off the floor, giving the rope just enough space to slip under feet — only the balls of feet should touch the floor.